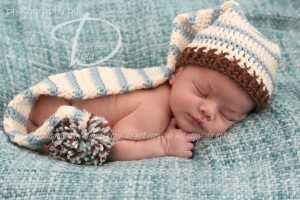 This simple-to-work long tailed hat can be made in any size, from newborn to adult, and in so many different ways. 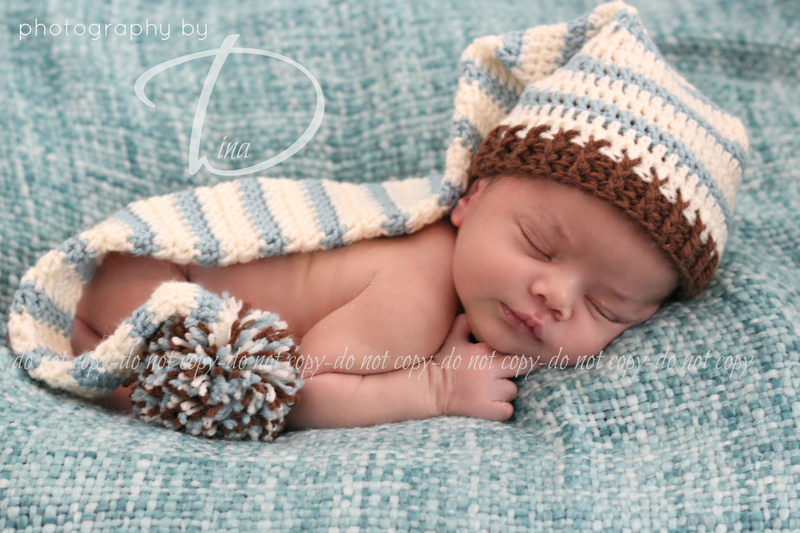 Add a fluffy trim and a pom-pom for a cute, newborn photo prop. Work it in stripes for Santa’s elves or maybe use your favourite team colours – the tail makes a great scarf to keep you warm on cold match days! This entry was posted in Featured, Photo Props on April 11, 2013 by Thomasina Cummings.